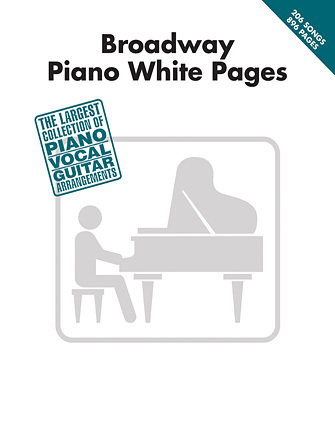 The ultimate collection of every Broadway song you'll ever need – over 200 in all – arranged for piano and voice with guitar chord frames. This amazing folio features: All the Things You Are • And All That Jazz • Another Suitcase in Another Hall • Any Dream Will Do • Big Spender • Bring Him Home • Brotherhood of Man • Consider Yourself • Dancing on the Ceiling • Give My Regards to Broadway • I Am Changing • I Could Have Danced All Night • I Don't Know How to Love Him • On My Own • One • Seasons of Love • The Sound of Music • A Spoonful of Sugar • Tomorrow • We Go Together • and more. 896 pages!